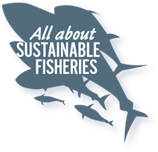 Being able to understand, characterize and monitor subsidies granted by States will enable them to radically improve the long-term management of their wild stocks, increase revenues generated by fishing activities and secure food supply. The introduction of new disciplines by the WTO implies a global upgrading and harmonization of international standards of transparency. The introduction of such standards is a prerequisite for the implementation of a relevant regime of notifications by WTO member countries. We would like to emphasize the importance of ensuring that all information coming from current and future notifications should be compiled in an open and user-friendly database or platform. The EU, ACP, LDC, LAC countries and New Zealand/Iceland/Pakistan all propose enhanced notifications of fishing subsidies. We agree with the proposal of ACP that such notifications should not be overly burdensome for developing countries with capacity constraints, especially LDCs. However, as no country should be exempted from notification requirements, specific issues could be addressed under Technical Cooperation. Accordingly, we also agree with setting out a list of minimum information such notifications should include. (See section above for list). This was particularly stressed in the proposals of the EU, LDC, LAC countries and New Zealand/Iceland/Pakistan. Article 5.2 of the ACP’s proposal. Sumaila et al., « Global fisheries subsidies : An updated estimate », Marine Policy, 69, 2016, p.190.